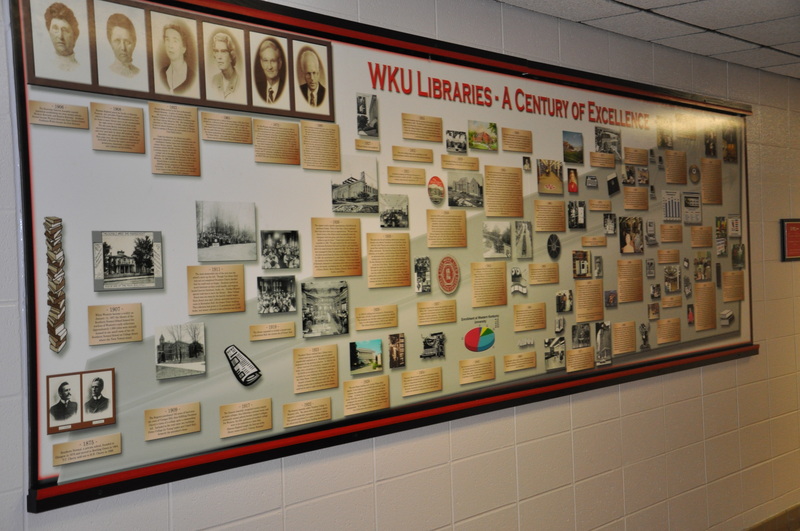 Over the course of its first 100 years, WKU Libraries was served by five visionary leaders each of whom in their own unique way contributed to the growth and expansion of library services and collections. 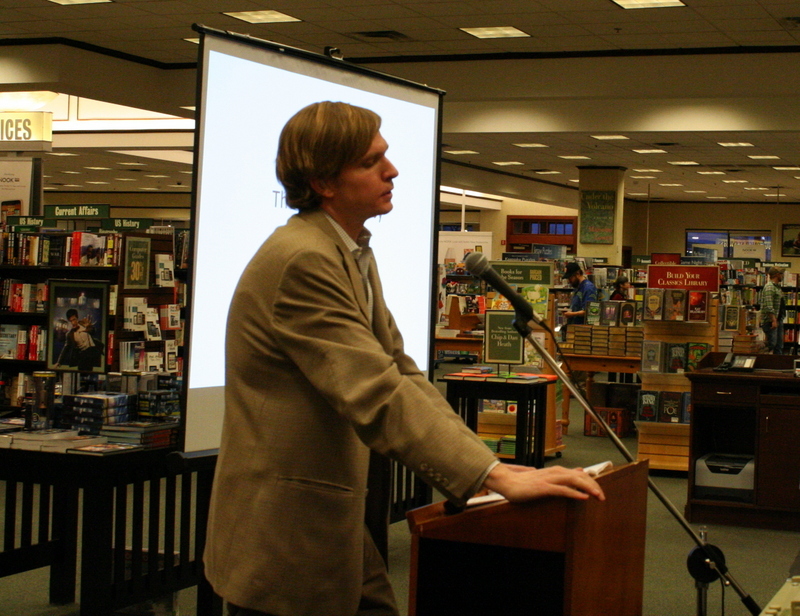 WKU Visual Resources Librarian Nancy Richey and retired newspaper publisher Roger Givens presented “Kentucky County Stars: Illustrious Kentuckians” as part of the “We’ve Been Everywhere” program on Tuesday, April 23 in the Helm Library on WKU’s campus. Rogers and Givens presented images and brief synopses of famous entertainers, politicians, and other influential figures throughout history who originated form our Bluegrass state. 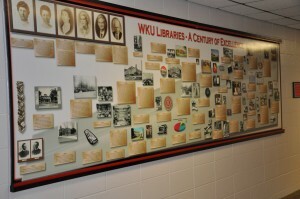 On August 22, 2012, WKU Libraries kicked off the new semester at Helm 100. 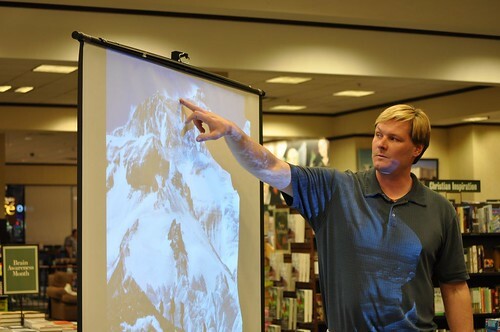 The kick-off featured our guest speaker Jeff Peden, “The Great Ideas! Guy,” who gave a presentation on how to create a great team to deliver the service customers want. The kick-off concluded with a luncheon. A group photo was made during the recess by the WKU photographer. On Thursday, August 16, 2012, WKU Libraries’ faculty members participated in WKU’s New Faculty Orientation Program taking place in the Western Room of the Kentucky Building. 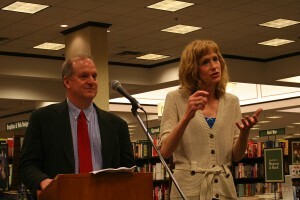 The program was an annual event sponsored by the Provost’s Office. Interim Dean Connie Foster addressed the audience of newly hired faculty members that included one of our own—Lisa Miller, Visiting Assistant Professor and Humanities & Social Sciences Librarian. In her address, she highlighted WKU’s institutional repository TopSCHOLAR. Head of Library Public Services Brian Coutts presided over the orientation session and gave the overview presentation of the Libraries. He was followed by WKU Libraries’ faculty members Jack Montgomery, Professor, Collection Services Coordinator, who introduced the liaison/subject librarian system; John Goffried, Assistant Professor, Coordinator of Reference Services/ Business Librarian, who introduced WKU Libraries’ website; Bryan Carson, Professor, Special Assistant to the Dean for Grants & Projects/ Coordinator of Periodical & Instructional Services, who gave a presentation on the Libraries’ literacy and research instruction services; Roxanne Spencer, Associate Professor, Coordinator of Educational Resources Center presented the Libraries’ branches; and Sue Lynn McDaniel, Associate Professor, Special Collections Librarian, familiarized the audience with the Special Collections Library. WKU Libraries also showcased a booth along with other WKU divisions in the Kentucky Building. Nancy Richey, Assistant Professor, Image Librarian, and Jack Montgomery spent their time receiving visits from the new faculty. Photos were taken by WKU Libraries’ Marketing Coordinator Jennifer Wilson and Professor and Special Assistant to the Dean for Web & Emerging Technologies Haiwang Yuan.